My lawn. It didn’t always look this nice. It needed some help. All I had to do was find the right company. How about you? Looking for someone to trust with your local marketing? 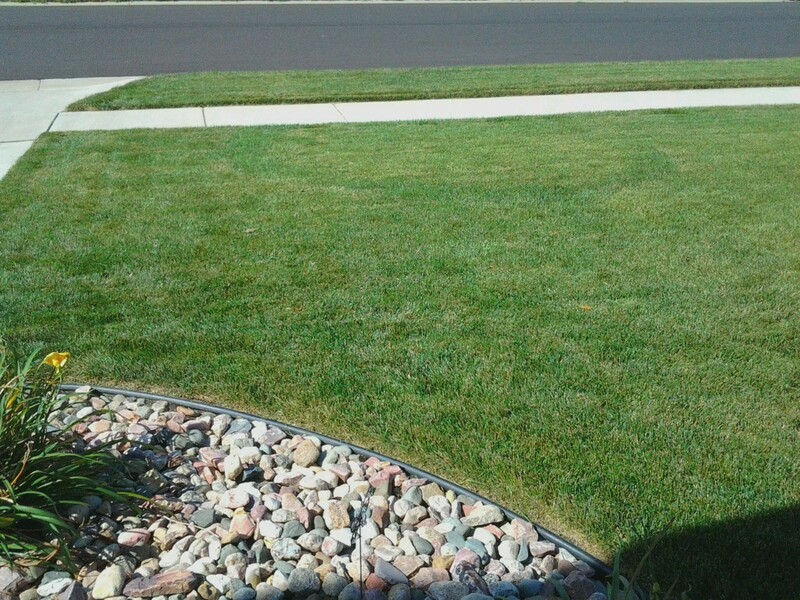 Quick lawn tip: Want a great lawn next year? Start this fall! Healthy lawns need food for the winter! So, if you’re a small business in Sioux Falls that wants a good marketing plan, sometimes it’s nice to have some help. You might not like to “do” marketing. But some people do. Like me. I love it. Why I do… I’m not sure. I just do. And marketing is essential to your growth. If you hire me at Results Radio, the knowledge and expertise is built right into the cost of your advertising. No extra charge for writing commercials, doing research, or coming up with ad strategies that help you stand out from your competition. No extra charge. It’s built in. And our training is so good. Its weekly. It never stops. We’re always learning. And it’s all for our customers. For you. Kind of like your lawn pros. They know their stuff. They give you tips. They want you to have a green, healthy lawn… just like I want you to have a profitable, healthy business. Sure, I could do all the lawn fertilizing myself, but that takes a lot of time. Plus a lot of “know-how”. How much? How often? What kind? I’d rather take the extra time I save to ENJOY my lawn. AND… of course YOU could do all of your marketing on your own, too. But that takes time and a lot of “know-how”. Wouldn’t you rather have more time to do the things you love? A smart, consistent radio campaign can take a lot of your marketing troubles away. Especially, when it has good local BRANDING at its core. It drastically reduces the need for sales, promotions, and gimmicks. A consistent, branding radio ad plan educates the public on why they should choose you instead of picking someone eenie-meenie-miney-moe from an Internet search (or Yellow Pages). We’ll “get in their heads” so YOU are the first they think about, and the one they feel most comfortable contacting and buying from. My lawn wouldn’t look as good as it does without Green 4 Ever. And they probably save me at least 10 or 12 hours a summer. At least. Part of a business owner’s trouble is finding the right marketing people to trust. I hope you’ll give me a chance to see what I can do for you. What’s it worth to you to attract a few new customers every day, week, or month? And what’s it worth to you to NOT have to worry about where your next new customer is going to come from? Local advertising success will come from finding the right person to help out. Kind of like finding the right lawn care company for your lawn. Some are good, others are not. Some care, others couldn’t care less. P.S. I’m a radio ad writer/strategist/marketing guy at Results Radio Townsquare Media in Sioux Falls. If you have any questions about how to get started “doing it right” or about our 8 Sioux Falls radio stations…just give me a shout. We can chat. A few weeks later, you could have some dandy ideas from me sitting on your desk. Have a great day! Next blog… marketing is like sewing a quilt!